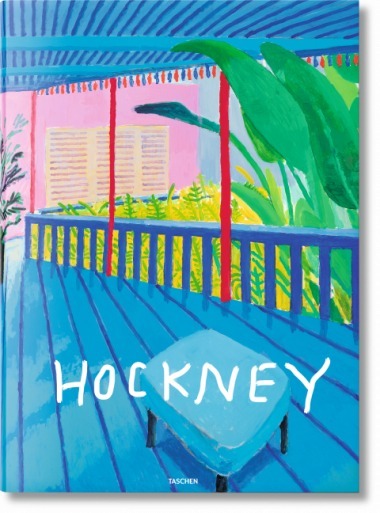 Taschen publishes David Hockney’s popular oeuvre. David Hockney “A Bigger Book”. Limited edition art book that comes with its own Marc Newson stand. Image Courtesy and with thanks Taschen. Helmut Newton. David Hockney. Benedikt Taschen publishers have brought out the David Hockney Sumo. 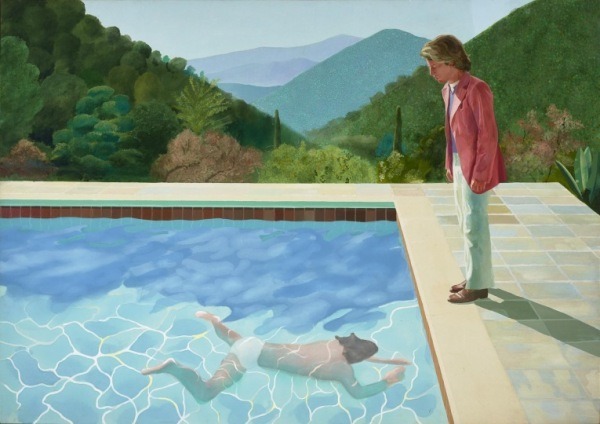 A brilliant David Hockney fest of David Hockney’s oeuvre. The sumptuous book comes with an elegant Marc Newson, the modernist industrial designer, plexi stand. The sixties were an amazing time, perhaps we were more joyous. David Hockney’s paintings somehow bring back that carefree feeling. Taschen’s David Hockney Sumo, a 10.000 limited edition signed by David Hockney, “A Bigger Book”, ( memories of Hockney’s “A Bigger Splash” the 1960’s Hollywood swimming pool series) , is almost like having one’s own Gallery of the popular David Hockney works in glorious Hollywood color. 19.6 X 27.5 ins. 13 Foldouts. £1750. David Hockney’s Tate Britain Exhibition opens February 2017. Image Courtesy & with thanks Tate Britain. David Hockney.